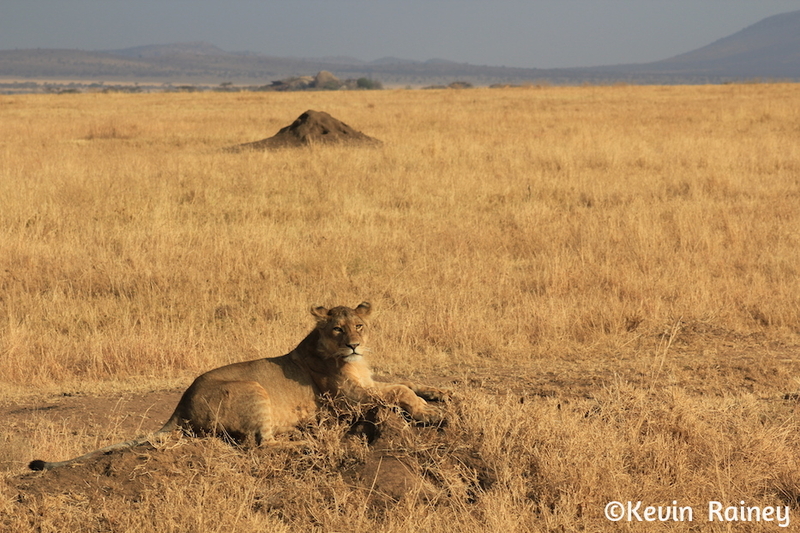 We woke up early for a morning game drive in the Serengeti near the Seronera lodge before coming back for lunch. We then left for the long drive to the Lobo area of the Serengeti in northern Tanzania. The Lobo area is much more remote and attracts much fewer visitors than the southern Serengeti. 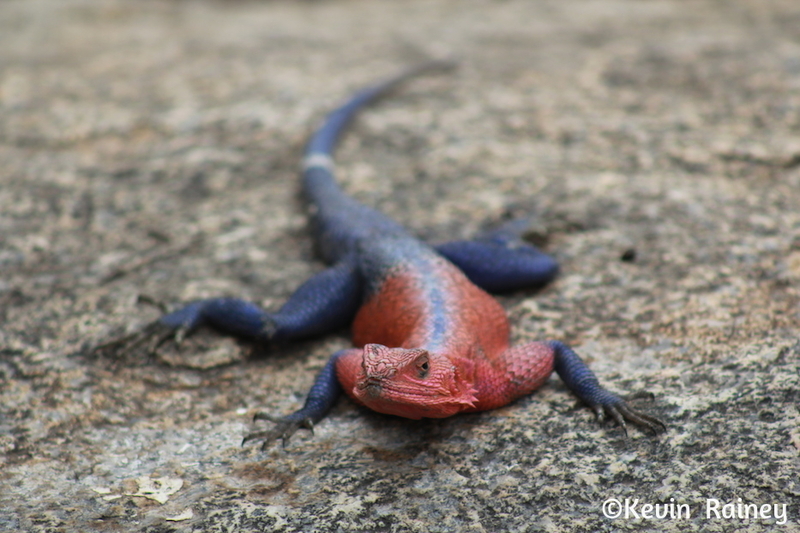 In fact, we were not too far from the Masai Mara National Park in Kenya. We had seen huge numbers of tourists in four-wheel drive vehicles during the last few days looking for the perfect wildlife photo opportunities. The smaller amount of tourists was quite noticeable today. We did not see as much wildlife today, but we saw some indelible sights. 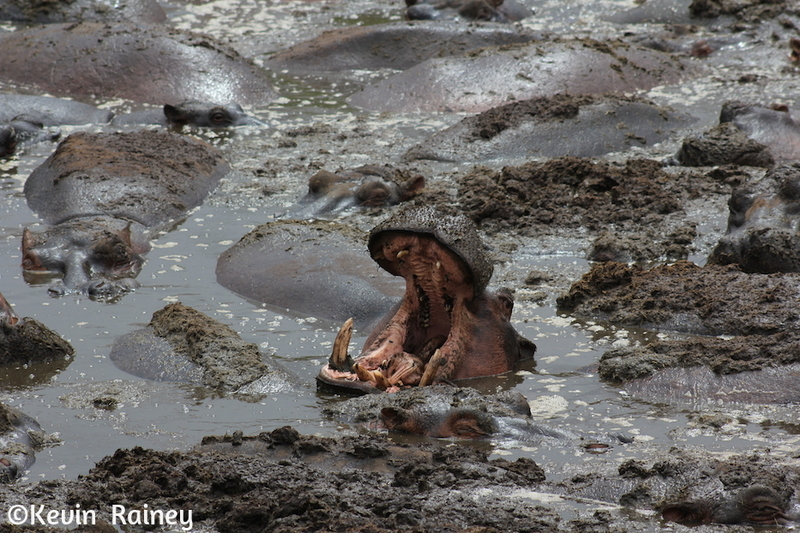 We witnessed a huge herd of hippos wallowing in the mud. 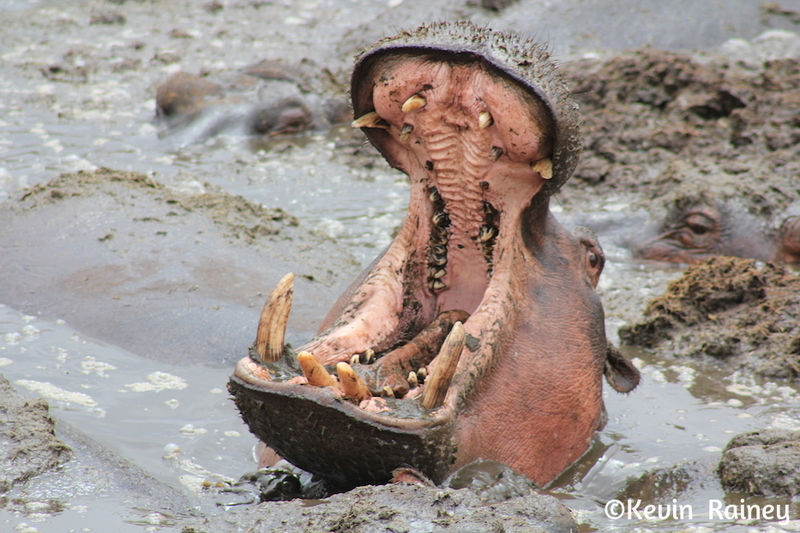 Hippos are the most dangerous predators in Africa to humans killing more humans than any other animal. Of course we viewed them from a safe distance on a nearby riverbank. Because we were in a remote part of the Serengeti, there were no rest areas. Elaine had to make a pit stop once in the afternoon as we stopped along the dirt road. We told here we would be monitoring the surroundings for Tsavo maneaters – the infamous lions – while she took care of business in the bushes! That afternoon we passed close to the Kenyan border before arriving at the magnificent Lobo lodge at some Kopjes – natural towers of rocks forming an oasis on the plain. The lodge is ideally set on the migratory route of over 2.5 million wildebeest in their desperate struggle for survival. It is the first lodge on the way from Kenya to Tanzania, only 18 miles from the Masai Mara. With 75 spacious guestrooms, elegantly decorated in authentic traditional African style, each one with a private balcony, and all of them offering stunning views over the vast plains of Serengeti National Park. For dinner, instead of a buffet, we ordered at the table with Emil, Huw, Jane, John and Elaine. Meanwhile Joseph continued cleaning our vehicle until it was clean. He also seemed to be enjoying his wine and some good music. After leaving the restaurant, Emil pointed the lights in the distance of a new airport that the Arabs had built. In total today, we traveled for about 6 hours on a 135-mile journey. The distances take such a long time because there are no roads and we stop a lot for wildlife view.